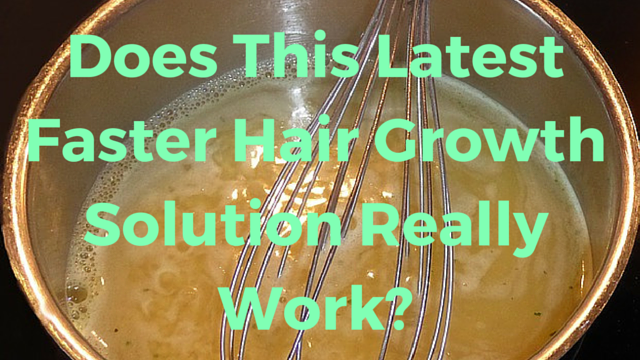 Home / Hair • Hair Breakage • Hair Growth • Healthy Hair / Does This Latest Faster Hair Growth Solution Really Work? Does This Latest Faster Hair Growth Solution Really Work? There’s a new hair growth trend making the rounds known as bone broth. 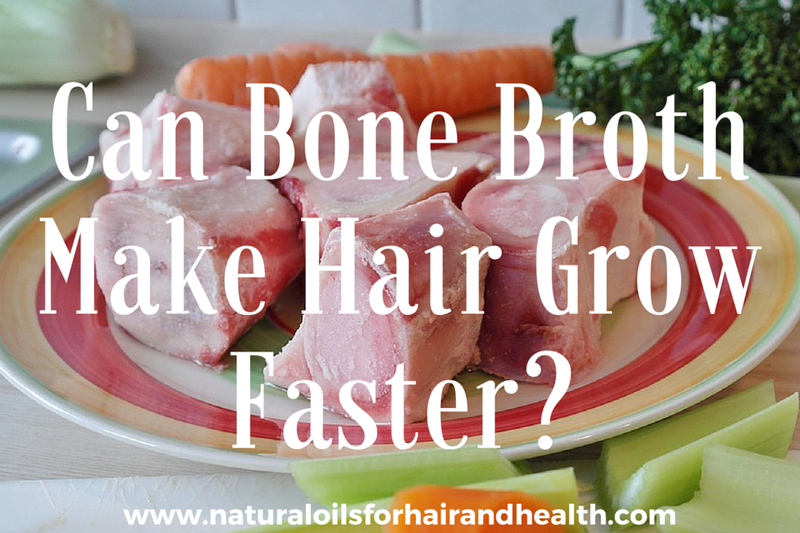 I’ve heard of beef broth and chicken broth but bone broth is a new one, both cooking wise or consuming specifically for hair growth. Bone broth is produced by boiling bones from meat for a very long time (24 – 48 hours) to release the minerals from the bones as well as gelatin, which is hydrolyzed from the collagen in the bones. The bones also release proline, glycine and glutamine, all compounds that can improve the functions of the immune system as well as joint health. Some women have said it also helps with reducing cellulite. Looking at the components of the broth outlined above, one can see why consuming it would be extra beneficial to the skin and body. Helping to facilitate hair growth, however, doesn’t seem probable. Upon further research, I discovered it was applied to the hair although some people also drink it. I don’t really want to think about what it tastes like though. Practitioners of this hair growth method mix a few tablespoons of the broth with a deep conditioner and apply it to dry hair as a pre-poo. They claim after a few weeks, it appears the hair is growing at a faster rate and it also softens hair. Bone broth does contain amino acids, which might explain the softer hair. Vegetables such as carrots, turnip, cabbage, radish, tomatoes, potatoes, onions, garlic, etc. 2 – 3 vegetables should be enough. Put the bones in a pot along with the chopped vegetables. Fill the point with water and add the organic ACV. Boil for 24 – 48 hours with a slow cooker like this one. Afterwards, the liquid left behind is the broth, which is protected by a hardened layer of fat over it. You can also purchase organic ready-made bone broth. Technically, this sounds like a variation of soup to me. 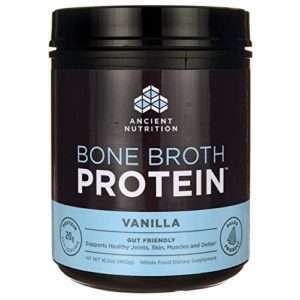 Additionally, bone broth is available in a protein powder format. 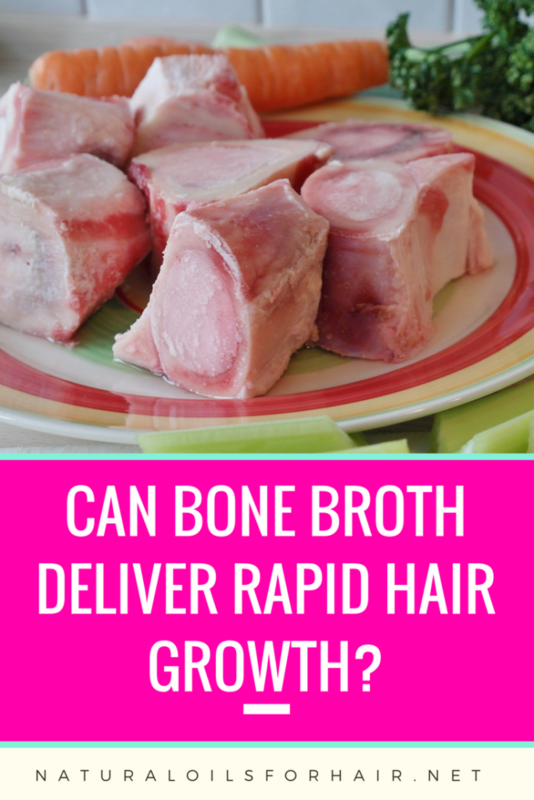 There really isn’t any scientific evidence that applying bone broth topically to hair can make it grow any faster and it sounds like another trend in the same ilk as breast milk and whale sperm. I’d rather use my broth in cooking. My body can absorb whatever benefits it needs through that avenue and I expect some of it will also get to my follicles. Doing too many things to your hair at once can be counterproductive. Keeping it simple stupid (KISS) and patience still remains the best way to facilitate healthy hair growth. Would you try bone broth topically?